Honestly, I didn’t know a lot about Purina last month. I knew they make some generic-quality, affordable dog foods, they make some dog foods that canine athletes and show-ring dogs eat, that several of you, our readers, feed your dogs Purina foods and your dogs are happy and healthy, and that there is a lot of controversy swirling around online about Purina. 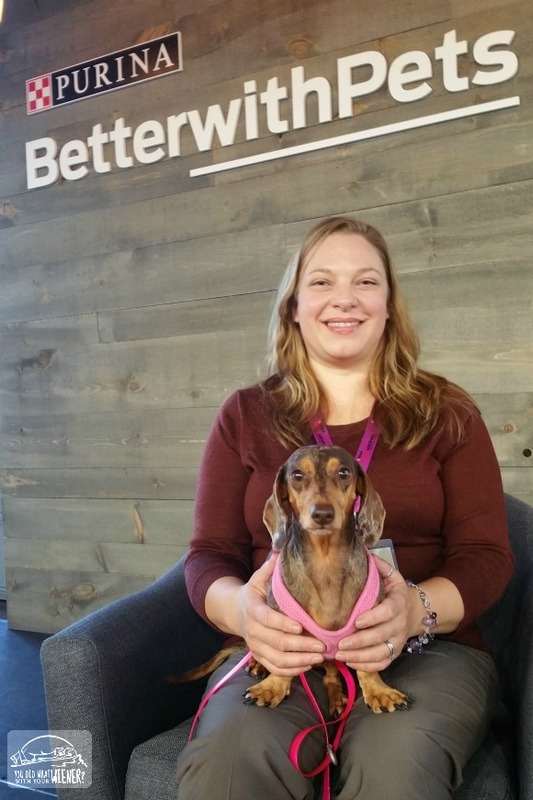 Nestle Purina recently gave me the opportunity to attend their invite-only Better with Pets Summit in New York. I am someone who likes to inform myself, hear from both sides, and decide how I feel based on that so I decided to take them up on the offer. The thing that really grabbed my attention about the summit was the tagline – Exploring the Best Ideas for Bringing Pets and People Together. That is the general focus of the summit but there is a different theme each year. The theme this year was “How Pets And “. The human-animal bond is something I believe in 100%. I know my life changed drastically for the better when I became a dog owner. The summit sounded like it could be amazing. So who are these Purina people? I mean, what are their backgrounds and what are they thinking? Shocked isn’t quite the right word but I was really impressed that Purina has some of the leading scientists in the country on their research team. They have over 400 researchers worldwide that study things like what makes cats and dogs happy and healthy, the nutrition that pets need and the best ingredients to deliver them, athletic performance of dogs, and how pets and people interact together. They strive to lead the industry when it comes to pet nutrition. Did you know that Purina One was the first brand in grocery stores and mass channels to have real meat as the #1st ingredient? The summit was small and intimate which made it way different from any other pet-related conference I’ve attended. I listened to three expert panels discuss how our relationship with cats is changing over time, how to better manage your pet’s stress, and how pets help kids grow and develop. Dr. Arleigh Reynolds, Ph.D., D.V.M , the Director of Nestle Purina research facility in Salcha, Alaska, spoke about the little Alaskan village of Huslia. Huslia uses sled dogs teach cultural traditions and open kids up who were in trouble or withdrawn. Huslia has become a role model for the state of Alaska. As part of the Better with Pets summit, Purina made a $50,000 donation to this program – the The Frank Attla Youth Program. Dr. Reynolds also talked about the athletic ability of dogs. His research in Alaska evaluates the impact of nutrition on performance in sled dogs. He and his sled dog team have won 3 World Championships, 2 open North American championships, and hold 12 top three finishes in these races so. He found the VO2 Max – the ability to metabolize oxygen during physical exertion – of a dog on his racing team to be a full three times higher than the man he calls “the very best human athlete in the world” – Norwegian cross-country skier Bjorn Daehlie. Since Chester and Gretel are a fraction of my size, and I am out of shape, we are probably equal in our ability to metabolize oxygen. Ha, ha. Experience has proven that they can often outlast me. A behaviorist at Purina, Sandra Lyn, Ph. D., who has spent 11 years researching the feeding behavior of cats and dogs and what that behavior can tell their owners, sat on a panel with two other cat experts to discuss how millennials are changing the way people interact with cats. A panel including a Professor of Psychology and Dr. Marty Becker, D.V.M., talked about the different types of stress and how it affects pets. Researchers have found that a little bit of “eustress” (positive, mild stress) is good for dogs so they learn to cope with bigger stressors later in life. The panel also shared that more and more pet owners are making choices when building/remodeling homes, like lighting, flooring, etc, that is less stressful for their pets. Choices like softer colors for cats because they see colors brighter than people do and non-fluorescent lighting because animals can hear buzzing noises coming out of them make a difference in our pet’s lives. 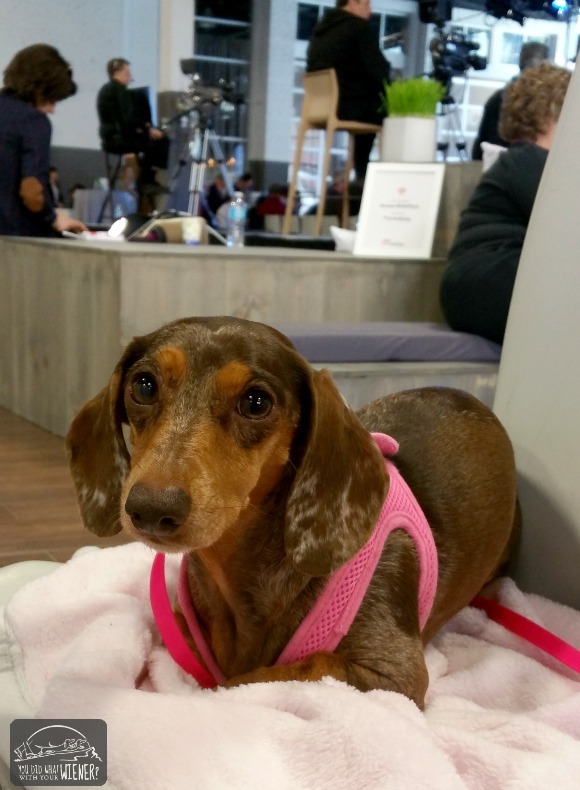 Gretel sat patiently like a good little girl during the panel discussions (her new, soft pink blankie might have helped). 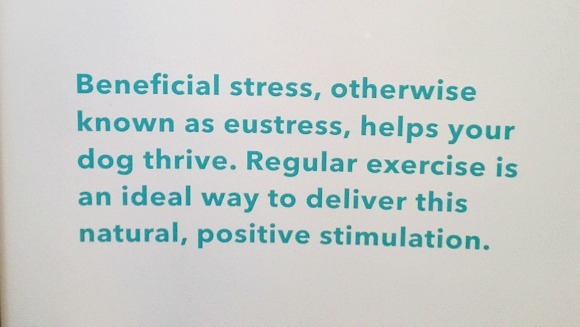 The concept of eustress was very interesting to me. I’ve always thought that a little bit of stress is good for pets and people because that is how we learn to deal with things and grow. I learned that exercise is one way to deliver this natural, positive eustress for dogs. That made me think of the (few) people who criticize me for taking Chester and Gretel on long hikes. I am fully aware that they do have limits, and I keep a keen eye out for signs of “too much”, but I believe pushing them a little bit sometimes is good for them. I’ve seem them thrive both physically and mentally since they started hiking. I also learned a little bit about how stress in pets and their owners is linked. In the expo area, there was a fun little heart rate experiment where they strapped a heart rate monitor to me and held one around Gretel’s chest to measure our heart rates during the same experience. The graph was interesting. 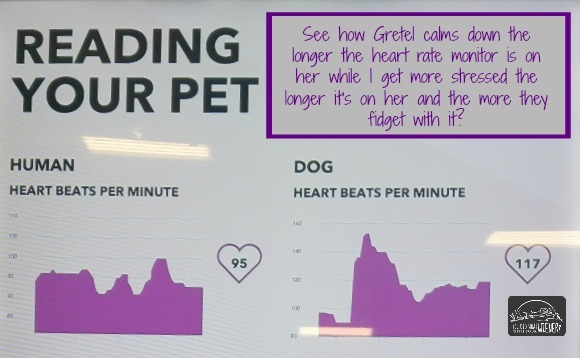 My heart rate was less consistent than Gretel’s but ultimately increased over time. Gretel’s heart rate spiked when the stranger put the heart rate monitor on her but then lowered and evened out. What is interesting is that these graphs mirrored our feelings about the situation. Gretel initially freaked out a little but then she calmed down as I talked to her and she got used to the strange guy touching her with the heart rate monitor. While, I, on the other hand, was concerned in the beginning that she would be stressed, relaxed after it was on her a bit, but then started to stress out more the longer it was left on her. I wish we could both wear heart rate monitors while hiking! The Better with Pets summit was great. My perspective on Purina has changed. I really hope I get invited back next year to learn more. To find out more about what went on at the summit, read this. Disclosure: Purina paid for our air travel and hotel to New York City to attend the Better with Pets Summit. Everything I said about the Better with Pets summit is true – It was amazing! – and Purina is not responsible for the contents of this article. Fascinating research. Even though most of us feel like there is communication between us and our dogs, it does have some limitations. I know many times I have thought that I’d love to know exactly what my dogs are thinking and feeling. It is great to see science helping us learn more about what causes them stress. I’m glad you had this experience and then shared it with us! I feed Purina Pro Plan and am very pleased with it. I’ve talked at length with Purina representatives at dog shows and am always amazed that they don’t try to convince me that their food is the best (like many reps do). They simply share their knowledge about good nutrition and their foods.